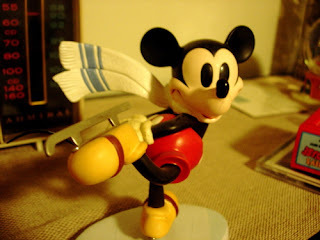 My Magical Collection: WDCC Mickey Mouse - "On Ice"
This is a Walt Disney Classic Collections statue, entitled, "Watch Me!" It's from the classic Disney short, "On Ice". Here, Mickey Mouse is ice skating, showing off for Minnie (she is not pictured here).